Bangalore Sings The Blues: An Ode To The Blues | WhatsTheScene? The tribute festival here in Bangalore would be free of any bereavement if he’d be a living legend. An Ode to the Blues, which was a venture that started last year by Counterculture, was never meant to be more than a carefully orchestrated gig. It spiraled into a full blown event that attracted even more attention than was intended for it. After the giant success it enjoyed last year, there was much excitement that followed after it was announced to be held again this year. After all, who wouldn’t want to witness a nine day extravaganza that focused entirely on The Blues and its multiple facets with more embellishments than it was furnished with last year? This year, the fest made a comeback under the catchphrase The Blues Goes to Town. And it has. It is all over town and The Blues is painting the entire town red. Places where you wouldn’t normally expect to hear it. The Egg Factory, Hole in the Wall, Herbs and Spice, and even Rooftop Bar and Grill on Sarjapur Road. It doesn’t end there. This festival is expanding its horizons and including multiple screenings of movies related to the theme at different venues. What makes it even more enticing is the spontaneous busking on streets where people just play the music that they love to anyone who is willing to listen. Just like Robert Johnson did. For a city that has no dearth of rock and metal music fans, The Blues has always moved in subtle, fairly small circles with the occasional burst of public mention alongside its cousin – Jazz. An Ode to the Blues has broken away from such demureness and has decided to thrust The Blues back in the nooks and crannies of town, on the streets and in every part of the city where the art belongs. Remember those years when you were a wee kid when all things oriented towards entertainment were on the streets? The circus, theater and music. These things were omnipresent at cafes and outside libraries. These are places of vibrancy and spirit. These are places where you should see someone dreamily strumming their guitars and singing songs of pain and beauty. These are places where you should listen to The Blues if you want to experience it. An Ode to the Blues is Counterculture’s attempt at making you rediscover those experiences. Watching a film that catapults you back to the era when the forefathers of The Blues who birthed the genre, can be quite the rollercoaster ride. Now imagine walking out the door and seeing a man play right across the street. It’s not the same as listening to a digitally manipulated copy of an old number. This festival is one that envisages a paradigm shift in how people experience Blues music and is one this town has shown great readiness for. 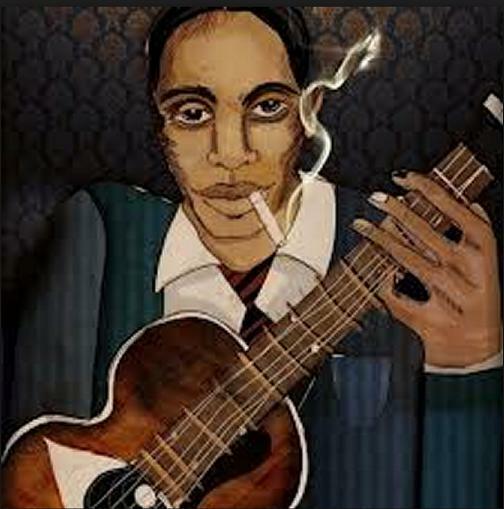 They say Robert Johnson made a deal with the devil due to which he gained rapid mastery of the guitar. Is it any surprise that a tribute to The Blues originated on the day of remembrance of a man willing to go that far for his music? An Ode to the Blues captures the essence of The Blues and reconstructs it to be more aligned with its original, pure flavours.